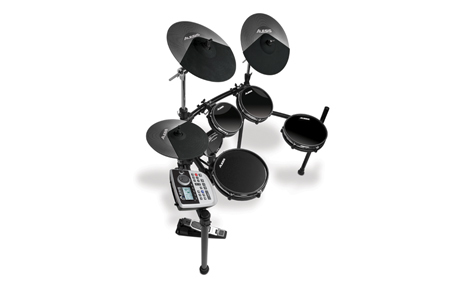 Every genre of music can use a real drummer and the Alesis DM8 Pro Kit electronic drum set is perfect for the real drummer feel. It offers real head pads which makes for an even realer experience. There are a huge amount of drum sounds that can be assigned to the pads. It is a full size set with a snare, three toms, a kick pad (which works with both single and double kick pedals), a large crash, a ride cymbal, and continuous hi-hat control. This retails for around $800. For more info visit Alesis here.